Is fashion superficial? While we may associate fashion with top European brands and high dollars, fashion can convey meaning. 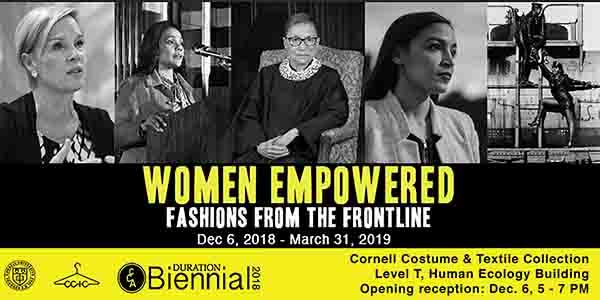 WVBR’s Laura Bagwell-Katalinich reports on the Women Empowered: Fashion from the Frontline exhibit at Cornell University. The exhibit is free, located at the College of Human Ecology. It’s available on display from now through March 31st, 2019.